Our Zero Hold Up Filter Press machines are high in performance, low in maintenance, dimensionally accurate and offer excellent quality and durability. 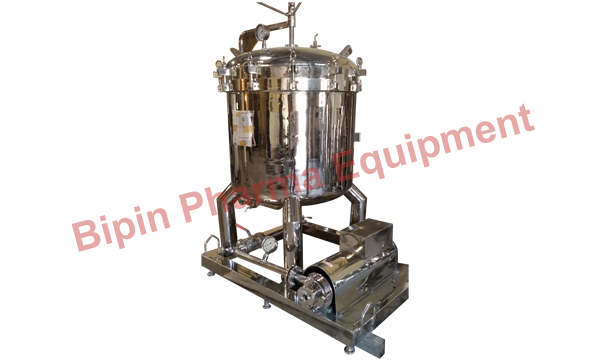 Owing to such unique features, these are appreciated all across the globe for its extensive use for crystal clear filtration of pharmaceuticals, chemicals, resins, beverages, distillery, oil, ink and other industry. 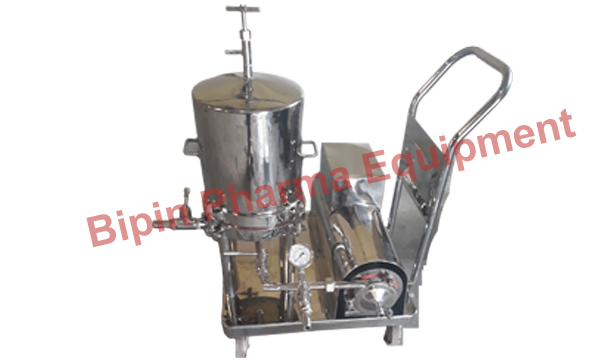 These are high in demand in the domestic market as the raw material used in production of these machines is procured from reliable and authorized companies and go through stringent quality checks so as to ensure that the entire range is of superior quality with maximum functionality. &ast; Zero Hold Up horizontal closed pressure filter solves all major separation problems. &ast; Interlocking cups are arranged one above another, forming a single pipeline. 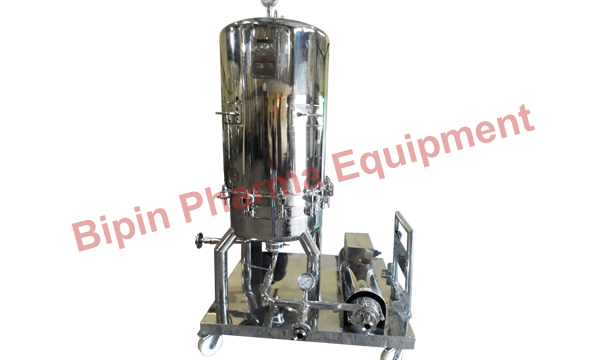 &ast; The unfiltered liquid is fed centrally under pressure from the bottom inlet. 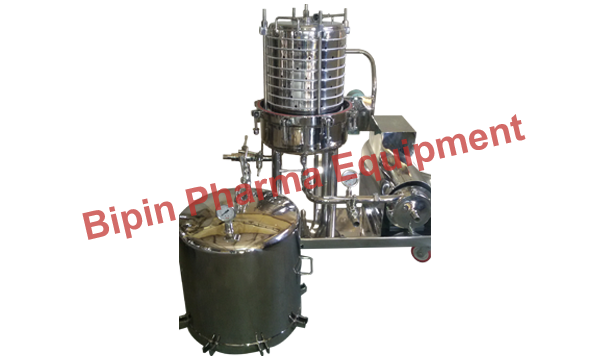 &ast; The impurities and solids remain on the filter media as the filtrate flows through the gaps on the supporting rings and collects in the shell which is then led out through a pipeline. The solids are evenly distributed on each plate. &ast; At the end of the cycle, the cake can be dried to the maximum extent by applying air or inert gas. 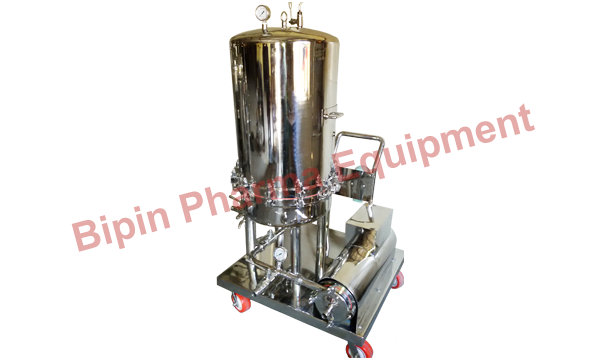 Zero Hold Up Filter Press 33"